Hand Readings of famous people: How much control do we have over our future? How much control do we have over our future? How much control does one have over the future? This is a question which has been asked by the readers of this blog several times. change happens. It not just the minor lines which change. It depends on the individual, his/her desire to change and the will power. With change comes a different future. And in this post I wrote “...the Human Will is what prevails" and here I have said that years ago "...the lack of mobility, fewer career choices, less individualism and a reluctance to believe that the future can be changed meant that people changed less and their lives took predictable paths”. This is not the case in the modern world. Let's return to the question as to how much control we have over our future. We know we cannot control our birth and our early childhood. We have no control over our birth because we did not cause it, obviously. This also means implicitly that the personality (and the probable future that goes with it) we inherit is not in our control. That is a matter of the roll of the dice. I do not consider this to be fate, but chance. This means that by chance some people are dealt a good hand and others a bad hand. It is up to us whether to make the best of a bad hand or fritter away the good hand. During our infancy and early childhood our fate is largely in the hands of the caregivers. However, even during this period the way our inherited personality interacts with the environment influences people’s behavior towards us, and this in turn influences the developing personality. At this time (in early childhood) the changes in personality (and therefore our future) largely happen without a conscious effort to change but as we grow older and gain an awareness of the world around us, the consequences of our actions become clearer. This is the time to stop blaming the environment (or parents) and take life into our own hands and try and fix mistakes if any. If blamed is heaped on circumstances and there is an implicit belief in fate, it is unlikely that the person will change and his/her life will play out exactly as shown on the hands. If an individual makes a conscious effort to change, it will impact the future. How much the future changes depends on how much change the personality undergoes. Is it to do with getting rid of some negative personality traits? Is it re-alignment of goals? Is it about learning a new skill? Some changes are gradual, and the lines then grow slowly over time. I have seen the fateline on a person's hand grow as he neared the age where it ended. For the hand to show the change, the changes have to be completely new and about plans not considered before. The lines start to change as soon as the seed for the change is planted in the brain. The hand can change for the worse too. As adults there is really no limit to human ability so there is no limit in how much we can change. Changes in personality require great effort. The effort can be likened to to taking steps to correct a medical condition. Let us take the simple example of being over weight. Step 1 is to acknowledge it. Not surprisingly many people gloss over their weight, ignore it, or pretend that its okay to be like that. Admitting personality weaknesses is harder and admitting to having taken a wrong path even harder, but without acknowledgment there is no possibility of moving forward. Step 2 is to do. Overweight people need to go on a strict exercise and diet programme and it is a lifetime change that we are looking at. Not a quick fix. It's much harder work to change the personality to change the direction of one's life. Help can be taken from friends, family, elders or even a therapist if needed. The strength of the will is important. Individuals with a strong will, self confidence, and a practical mindset find it easier but even those without these qualities can change. With motivation it can be done. The key word here is motivation. Without motivation people don’t change. 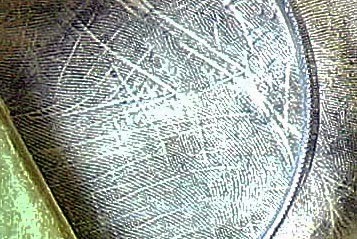 You might also like: Your hand lines are a reflection of you not vice versa or Death and hand reading or Stars, Crosses, Symbols and Superstition in hand reading or Can Palmistry predict future events? or The Myth of the Marriage Lines or Why do you want to know your future? Does the position of the hand-lines change with time, as per their actions/attitudes? I thought lines were fixed. Ma'am, One of my friend lost good amount of money (near to 30 Lakhs) in the form of theft, since then his perception towards life had changed i mean he doesn't care too much on the materials. This change had happened beyond his control does this change reflects in the hand? If so which part of hand (lines, shape). DI, Yes they definitely change and sometimes quite dramatically! Hari, I cannot comment on the example as I do not know how materialistic he was before. 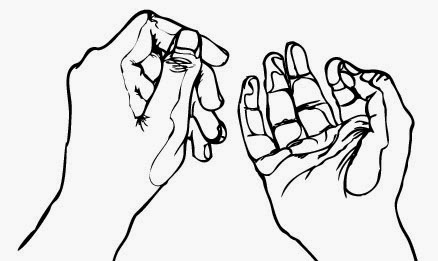 But what I can say is that major changes are reflected in the major lines and also in the shape of the fingers. 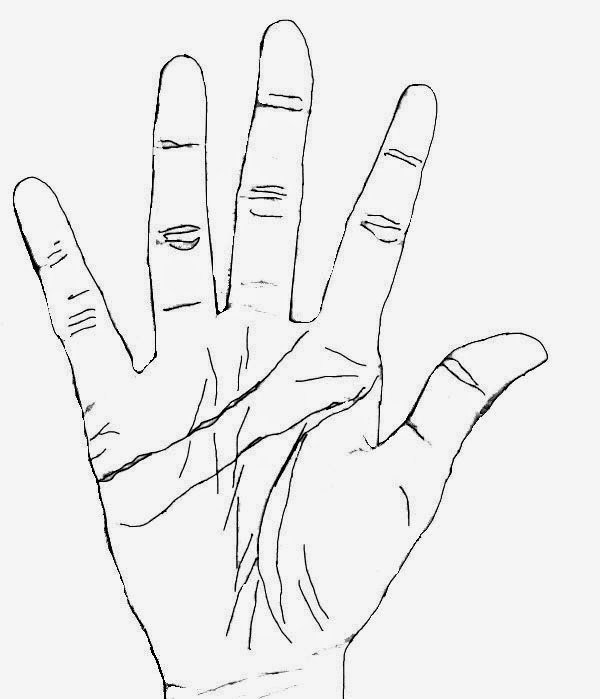 If you are asking me where does the quality of a materialistic attitude show, well it shows on the position and setting of the headline, its shape, the shape of the hand, the length of the ring finger relative to the middle finger, the length of the phalanges, the length of the mercury finger and also which part of the hand is more developed, the bottom, the middle or the top. Nothing can be ascertained by reading one sign. The more intense and deeper the changes, the more it is reflected, and in more places. Thanks for the reply Ma'am. Can I assume from the above blog that a palmist role is more or less is the role of a psychiatrist. Because, so far my understanding is concerned future is uncertain and people hardly able to digest the fact. This is where people consult palmists or astrologists to come over their shortcomings and not a psychiatrist (majority). In your opinion who can be efficient in providing motivation to a depressed individual to live or a stubborn to change. Many practitioners have their own theories and theories evolving and will evolve unless the rationalists become irrational about this science. I think the person who tried to enlighten the human race with this study had held a key ingredient with him and without which the study can be inaccurate and provoking enthusiasts to invent theories in this science. Hope your book will be out soon with a meaningful judgment of this science. Hari, a hand reader can simply point out the weaknesses and strengths of character but when it comes to making changes in the life, the person has to do by himself. He can take the help of a counselor and friends and other supportive people. If he or she is stubborn to change and there are serious problems, then I am afraid nothing can help except a psychiatrist. True, people come to palmists astrologers etc because of an uncertain future but I am afraid most do not do so to try and overcome their shortcomings. They want to know that good things will happen for sure and thus some palmists and astrologers can take them for a ride. On conversely an inept astrologer or palmist can frighten the person by giving silly and dire predictions. Nita, just to ask, there are so many astrologers whose predictions have come true. In our own family, we have seen predictions come true, and sometimes these predictions were made at the time of birth! Astrologers are - even though if not always - able to predict the future to a certain accuracy. Are they just guessing intelligently or do you think there is anything else to it? I know people who go to astrologers. I myself have gone to them regularly at one time! My conclusion is that astrologers are right about 50% of the time. That was the case with me and people I know. So it is an intelligent guess or not even that! They know human nature very well. The way to check it is check the astrologer's reading of the past. Here too they are likely to be correct 50% of the time or maybe 60% if they have guessed their client right, specially if the client is a typical one. When it comes to hand reading the past trends are correct 99% of the time, if not 100%. In any case there is no rational reason to connect planets and human life events. It makes no sense.At least to me it doesn't. ive noticed you...have emphasized this point quite a lot ..change.. the need to change ..need to evolve...but i still believe the the basic intent to mould a person's life..will is kinda programmed in oneself.....i ve changed i continue to change...i continue to get a ingrained sense of my psychological set up day in day out almost obsessively...kinda like you...i believe u changed a lot too didnt you....developed focus developed sense of purpose ..self respect..its a continuous battle..well the sensitive imagination ...doesnt help either...but i wonder what triggered it though.the thought process to turn onto itself...digging in deeper into life mysteries....one cannot really be sure ...if it all there is a reason..may be its just an accident..people dont always change for good...and it has kinda got complicated as times have moved on...also one thing... its a sill question what is a enlightened human being...is it just a fancy term or does it realy mean anything...i know a lot of people dealt with it...its kinda redundant .but i noticed u used that term to describe few people u read here...because i belive u draw that conclusion from combination of saturn/venusian enhanced qualities...but what does it mean ...at the core level...do super humans exist was cheiro any less enlightened than say a swami vivekananda...or vice versa..i know u belive in true intuition exist and u have perhaps met these people.but how much are ordinary human beings capable to trancscend to some different dimension though i use the word very loosely here...or it just a figment of their imagination ..see i believe .some humans are able to harness these abilities..but to interpret it is a diffrent skillset altogether..and life is too real or at times too much in your face...to give fuel to these feelings.. Thank you for your thoughtful comment Amandeep. You said "but i still believe the basic intent to mould a person's life..will is kinda programmed in oneself" and that is a very interesting observation. Yes, I agree that change is programmed in our subconscious mind, the intention to change, and that is precisely why the passive hands and active hands are different from a young age. The programmed change does not change lines. The hand changes when a radical new thought is injected into the person and he or she makes a very strong effort in some new direction. At times sudden unforseen circumtances can make this happen. And no I do not think Cheiro is any less enlightened that Vivekananda. It was just that Chero's profession ensured that people did not recognize him as an enlightened or spiritual person. 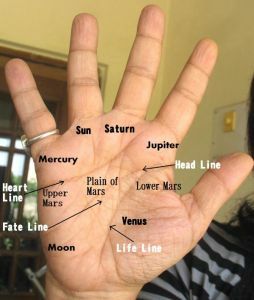 Is interest to learn palmistry can be read in hands? If so can you provide any signs on the hands where one can recognize a tendency to learn? No. According to Cheiro there is but I have not found it to be so from my experience. Eagerness to palmistry is found on all sorts of people. I think it is obvious. Is an interest to learn English seen on the hands? An interest to learn biology? Or an interest to learn table tennis? Or an interest to learn painting? No. It can never be. Its simple logic. An ideal palmist or hand reader should have Interest in human beings, and care for people. An interest in human psychology is a must. Anything else like intelligence, hard work etc is common to all professions. If position of planets at the time of birth didn't matter, the art (and science) of astrology couldn't have survived so many centuries (I feel). Many people take important decisions, even today, after consulting their horoscope. Marriage, for example. Here, there are calenders that note good time, bad time, etc. within a single day! I have not cross checked it to that level, but there seems to be certain times in a particular day when we are doing the most simple thing and still face many obstacles. At certain times, even difficult things get easy solutions (automatically). I guess you would have heard of the seven and a half year difficulty period (saade saath, yezhra varusham) that is supposed to occur every few decades, in our life. In my case it was predicted accurately. So, maybe there are some general attributes that recur in one's life (or happen in cycles) and our ancient sages had mastered it. But we are losing all that info/knowledge? Not that it is mandatory to know, but that knowledge might enable us to hone our philosophy more appropriately? DI, I respect what you say but belief is something that either one feels or does not feel. I just do not feel the faith in Astrology. I used to believe in it but today I do not because I have seen that predictions by astrologers in the family and friend circle are mostly half true or not at all. But this is my own personal experience and others may have different experiences. Hari, I have already answered this question but I will explain further. The amount of change is what influences the changes in the hands and deep changes will be reflected in the hand and finger shape. The basic or instinctual personality as shown by the shape of the hands and fingers is harder to change, but it can change. And yes I have seen the shape of the fingertips change and also finger shapes changing, particularly that of the thumb. The shape of the palm changes the most in the first 2-3 years of life.